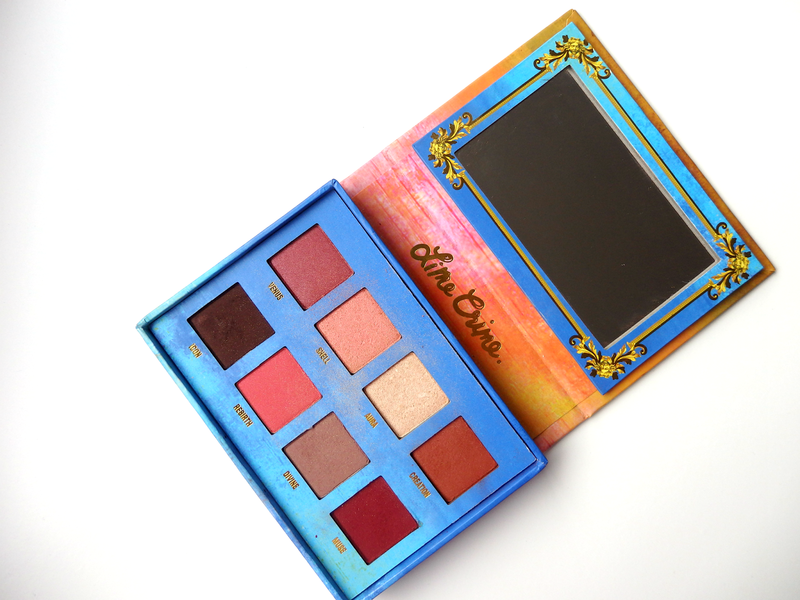 THE grungy eye palette with warm shades and quirky packaging, so does it deliver? 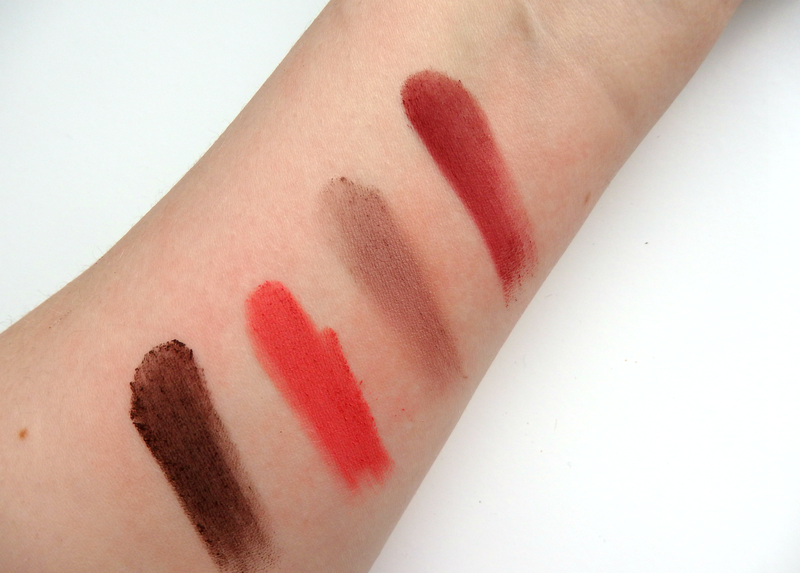 I had wanted some warm reddish shades for ages but I personally found it really tough to find the right kind. I had been eyeing this up for ages and purchased it at a promotional price over Christmas (it's only around £17 full price direct from Lime Crime anyway). 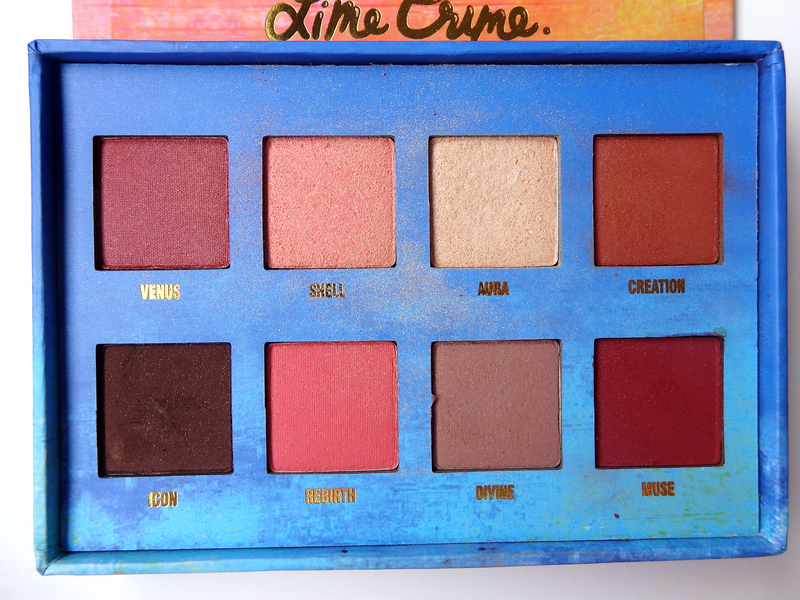 As usual the international shipping from Lime Crime was flawless, super quick and packaged to perfection. The cardboard casing of the palette is very sturdy - a real tough cookie. The mirror is big and the shadows, well let's talk. There are 8 shades; 5 matte, 1 velvet matte and 2 shimmer/glow shades. 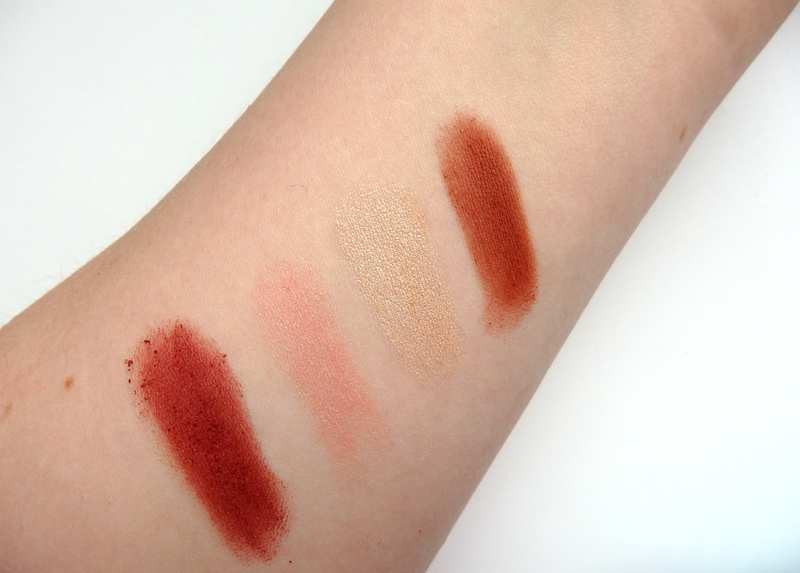 The shades are described by Lime Crime as; (first swatch photo left to right) Venus: The color of bruised fruit AKA 'marsala' (velvet matte), Shell: Opalescent shell-pink (glow), Aura: Pearlescent ivory (glow), Creation: Rust brown (matte), ( second swatch photo left to right) Icon: Dark brown (matte), Rebirth:The color of an over-ripe nectarine (matte), Divine: Dusty stone (matte) and Muse Deep burgundy red (matte). For my personal use this palette splits itself right down the middles between 'everyday' and 90's Courtney Love. Shell, Aura, Divine and Icon are all easy to use for a daily subtle smoke or champagne shimmer. 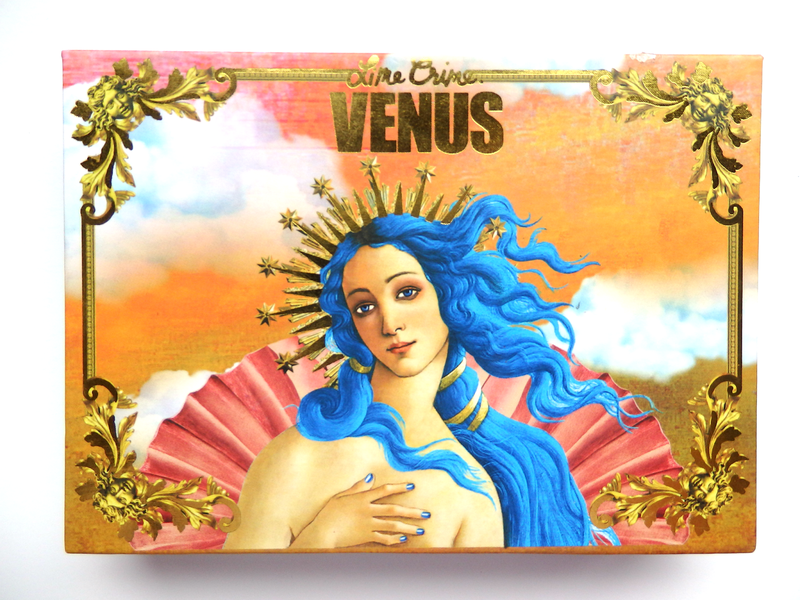 Muse, Creation, Rebirth and Venus are the really grungy warm shades that bring the 'heroin chic' ' I don't care what you think' vibe. They all work so effortlessly together and I have used them all. They are extremely buttery and blend with the greatest of ease. If you purchase this palette you will always go to bed knowing you have the warm eye look covered #firstworldproblems and will never need to purchase another berry toned shadow again. I must say I bloody love it - another perfect product from Lime Crime.